Amy trained as a contemporary dancer and educator in London. She graduated with a BA and also holds a Post Grad Cert from London Contemporary Dance School. She continued her training with the Royal Academy of Dance to become a fully qualified dance educator. It was during her training and as a professional dancer, she studied Yoga and Pilates and it was here that her love for the practices began. She moved to Australia to start a family in 2012, during this time she completed her Cert VI in Pilates Mat Work instruction at PITC in Sydney. Amy also completed her 100 Hour Yin yoga teacher training with Mysan Sidbo and is loving her growth within the Sanctuary family. 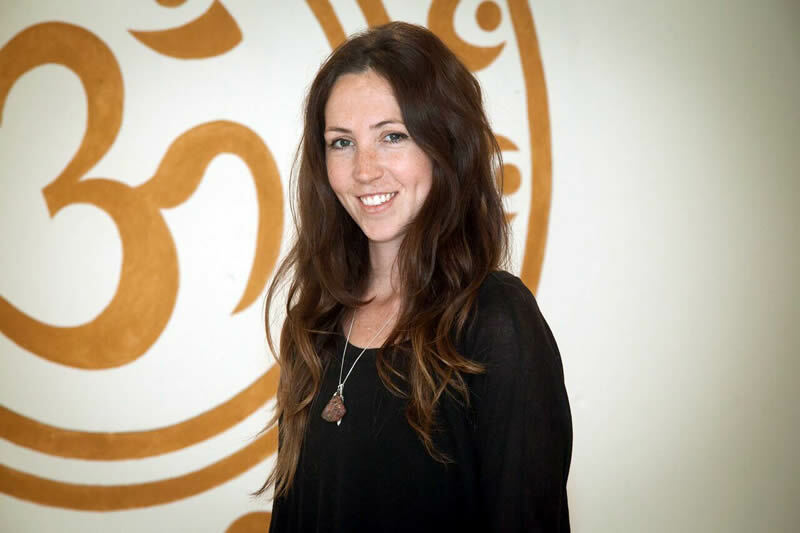 She has since delved into teaching the juicy, balanced practice of Yin/Yang at the Sanctuary. Amy’s SOMA Pilates classes aim to restore the body’s natural strength, undo bad posture, encourage dynamic alignment and increase flexibility and strength. Her aim is for you to unwind, and to find a deeper connection between your physical and emotional being. Whether you are new to Pilates, experienced or somewhere in between, you are in the perfect place in Amy’s classes. Amy’s Yin practice and teaching has helped her to find balance and become more in tune with the natural rhythms of life. She loves the sense of letting go, of letting her body open instead of forcing it or willing it to change. She has had many “aha!” moments in Yin classes and its this which excites her in her teachings. Being a mum of two boys which are forever growing up to be bigger and bouncier everyday, she enjoys sharing yogas ability to create space in the mind and body. A recent development in her journey has seen Amy teaching the Yin and Yang practices at the Sanctuary. Yin/Yang instantly struck a chord with her and she fell in love with how combining both Yin and Yang elements in one class, provided a balanced practice and had a powerful effect on her energy levels and overall well being! Through her teachings she will invite you to find a greater sense of equanimity so you can begin to sense more self-acceptance, gratitude and contentment with who you are! Her journey continues here on the Central Coast and is excited to be part of the Sanctuary family.